MainAll NewsInside IsraelHareidi MK: Why Apologize to Reform Jews? Hareidi MK: Why Apologize to Reform Jews? 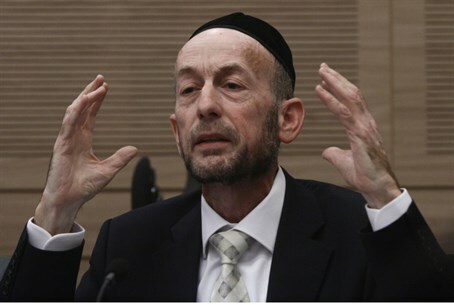 Rotem opened the Law Committee's session Sunday by stating: “...I expressed (sentiments) regarding Reform Judaism in a way that was wrong and mistaken, and as a result hurt many people. "My intention was not to hurt any individual, or the Reform movement," he continued. "There were those who slanted my words in a direction which implied a lack of recognition of the Jewishness of Reform Jews – but this was not so." "Reform Jews – indeed, anyone who is born from a Jewish mother – are considered a Jew for all intents and purpose. "The intent of my words was (to express that) there is a difference of opinion between myself and the Reformers regarding the practical application of (the principles of) Judaism," he clarified.